It’s been a couple months since I got back from Sakura Con and was looking forward to dedicating a lot more of my time to cosplay and where I hope it will lead the rest of my life. But I have been slightly derailed along the way. For one, things in my life just keep changing and I have to put other things first before I consider my future. One day at a time, right? That’s how it has broken down lately. My fiance was accepted to a masters program at NYU at the beginning of May. The past month has occupied my life with going through everything I own and deciding what goes with me, what stays to be store, and what gets thrown away. It’s hard to think about shipping cosplays, a sewing machine, pounds and pounds of crafting equipment when there are dozens of other more essential things that need to have funds delegated to them first. Plane tickets, money for new housing (it is New York, so it’ll cost a lot) shipping the essentials like clothes, kitchen and bathrooms things, and buying necessary things for the trip, like luggage. So, this move has occupied one of the months that I had hoped to use doing an abundance of things for this website. I’ve had to put off uploading cosplay profiles, transcribing my panel or collecting statistical data from my survey. I had also hoped to have another cosplay completed by now. This move has occupied my life and my creative energy is shot, not to mention that I am also working two jobs right now. I think about how fast pace things will be in New York, the likelihood that I will get to work one Monday-Friday job 9-5. I’ll probably still work two jobs, have less funds to cosplay, and I now have to incorporate a plane ticket into my seasonal con trip, which pretty much doubles to triples the cost. I’d like to think New York cons are good, but I have no idea. 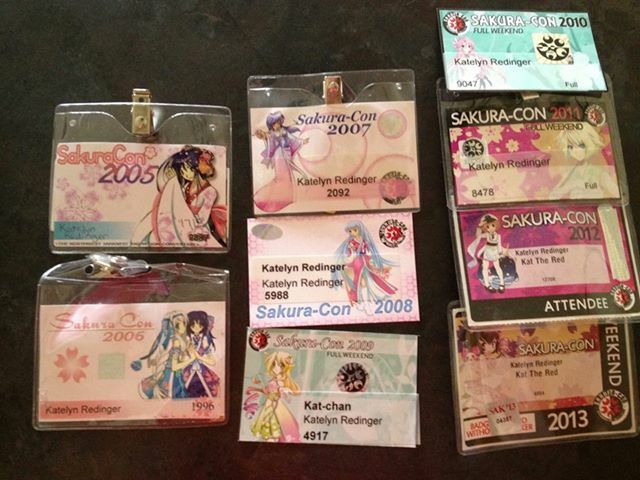 I will remain incredibly loyal to Sakura Con because I have attended it every year for the past nine years. It will just cost a lot more. I’m not ignoring the site. I think about cosplay and trying to building my portfolio and anthropology with cosplay constantly – I just don’t have time to do anything about it right now. I am hoping that New York will expand my horizons for cosplay exponentially, but right now I have no idea how it will affect my life as a whole. I have never lived anywhere else that the state I live in now, and New York is about 3000 miles away – a different climate, a different time zone and totally different pace of life. I’m scared, anxious, excited, overwhelmed, emotional, just a big mess. I hope I can make another cosplay soon. I want time to work on the site. Please bear with me. Wait until I move to New York and this all blows over and hopefully cosplay life can resume if not normal, then better than normal. I need something consistent and reliable going on in the chaos of my life right now.